1. How effective is the odour control? 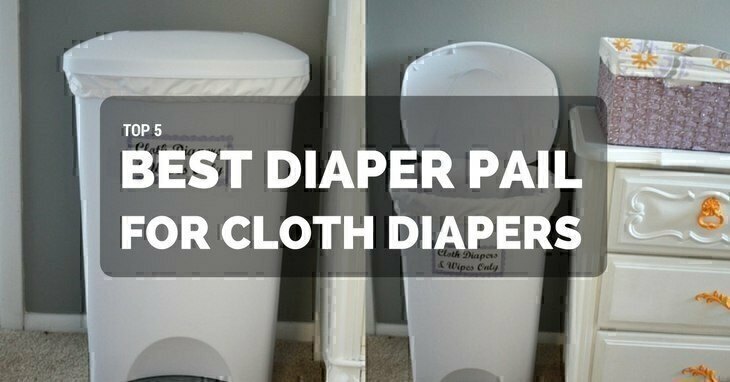 Before choosing or buying the best diaper pail for cloth diapers, it’s important for you to read this article first. One of the things that are difficult to contain is the smell of soiled nappies. 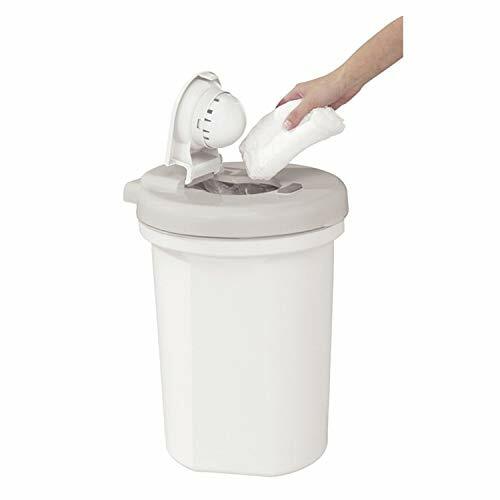 Especially when you’re too busy to wash them, you might need the best diaper pail for cloth diapers (CD). In a way, it’s a real lifesaver because you can and should never put the CD in the laundry basket. Think of it as something like a sealed trash can. It looks similar to the foot-operated garbage bins you often see. It seals the smell. It’s not exactly realistic to wash cloth diapers on a daily basis, so chances are, you need someplace to store them. An ordinary laundry bag wouldn’t suffice because it will still stink. It’s eco-friendly. We all know what plastic bags can do to the environment – how much harm it can cause in the long run. Your newborn will go through an average of 12 CDs in a day. In a perfect world, you will be able to attend to the cleaning and washing every two to three days. Worst case scenario: you’ll clean them twice or once a week. Although to be fair, as long as they haven’t started with their solids yet (at around six months), it’s not going to be that stinky. You know, even in between changing nappies, you have to juggle tasks. So more often than not, you are faced with the dilemma of holding a soiled cloth diaper and wondering where you should put it. And this is where the diaper pail comes to the rescue. Also, you’ll be using it until your little one is potty trained. While I understand that the design might have something to do with your decision, bear in mind that you shouldn’t choose based on aesthetics alone. Sure, it probably looks cute in your nursery but does it do its job? Remember, its primary purpose is odour containment. When you add soiled diapers to it, does it release a foul smell that’s vomit-inducing? Or does it effectively seal in the nasty odour? That should be the first consideration. Like every other baby gear and essential, consider how much you’re willing to pay for the item. I always say this to anyone who’s planning to buy something for their child: never go overboard with your budget. Diaper pails are beneficial but don’t exactly fall under the “absolute need” category. It’s good and nice to have, but it doesn’t mean you will go beyond what you can afford. And by ‘easy,’ I mean something which you can open and put the nappy in using only one hand. Mothers have mastered the art of doing everything one-handed, and this is one of them. Some products even have foot pedals, so you don’t need to touch anything. It’s not just a matter of convenience but also for sanitary purposes. Depending on the item, there are three means of containing the stink. It can also depend on your personal preference if you prefer something which seals in the odour without you having to put in anything or if you want to make sure there’s zero smell by spraying deodorizer. 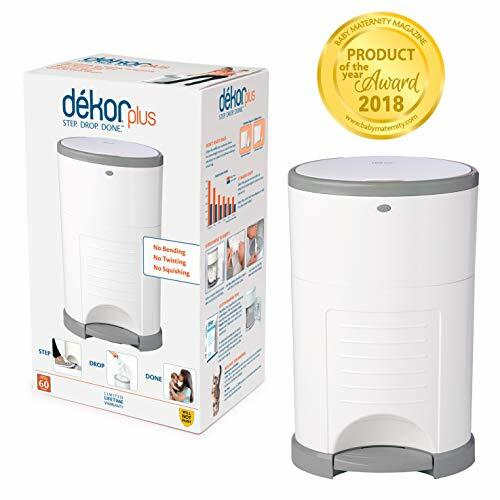 Even if you already used diaper pail liners, you can supplement the odour containment by putting a deodorizer beside it. It could be coffee grounds, baking soda, charcoal or other safe and non-toxic items you can just find at home. Wash as often as you can. It might be difficult to do given that 24 hours isn’t enough for mothers to finish so many tasks, chores and work. But if you have time to spare, just do it so that it won’t accumulate and also prevent the spread of bacteria. Don’t overfill. It won’t be able to seal in the stink if you put more diapers than what it’s supposed to contain. As I mentioned earlier, newborns easily go through 1 nappy every 3-4 hours and one day can yield at least 12 soiled diapers. It is connected to #2 because if you wash the CDs often, you won’t have problems with overfilling the pail. Put it in an area far away from kids. Curiosity can get the better of them so once older children find out how to open and close the diaper pail, they might play with it and well, you know how much germs are inside. It should be in a corner not easily visible. This product doesn’t need any special bag inside because the powder coated steel and rubber seals already help lock all the odours in. It also contains a childproof safety lock, so the kids won’t accidentally open it thus exposing themselves to various microorganisms in the soiled diapers. There’s even a variety of colours to choose from which is always nice. It looks mighty expensive, yes, especially considering there are pails for half the price. But it’s worth it because it gets the job done and doesn’t require you to buy the expensive bags like other pails. In the long run, you can save more money. 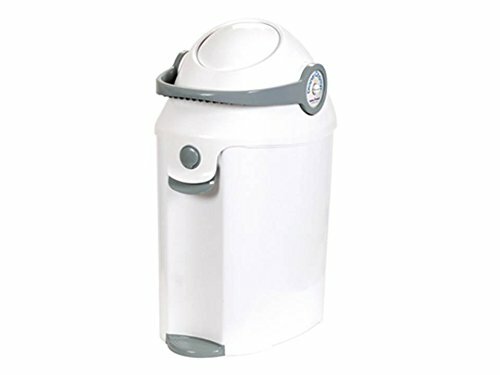 This diaper pail features a self-sealing system, and it also works well with ‘rings and snap’ and ‘seal and toss’ bags. It also makes everything easier with its foot pedal. The Munchkin company even promises to plant one tree for every diaper pail sold – this is their commitment to the environment. It’s well worth the price if you don’t mind the material made of plastic. While it usually does the job, it’s a bit gross that you need to squish the nappy especially if there’s poop inside. Also, I would have preferred it to seal shut automatically instead of having to push down. This diaper pail allows for a hands-free experience. All you have to do is step on it and drop the nappy. And you’re done! It has a triple odour control system which ensures that all stinky scents are inside the pail. The closed-cell ABS plastic also works like metal. It’s a good quality diaper pail especially considering its price tag. The usual complaint of leaking odour is easily explainable. You have stinky nappies inside and of course, when you open the pail, some air and therefore stink will escape. Still, once it’s sealed, it does its job, and that’s what’s important to me. 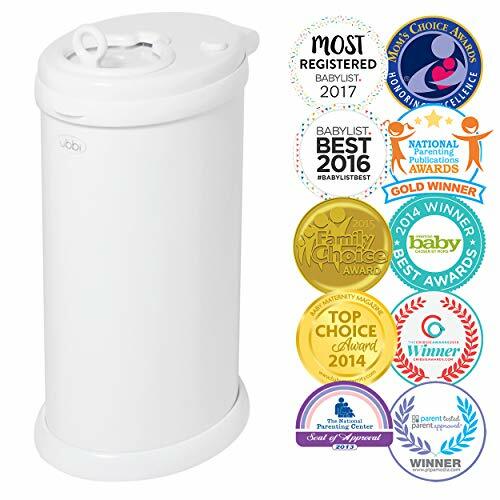 This simple but modern looking diaper pail is ideal for those who are on a tight budget and not willing to spend more than fifty bucks for this baby gear. Aside from the attractive price, it also uses regular plastic bags, so there’s no need to purchase the more expensive ones. To be honest, there’s not much to expect with this kind of price, but it’s still cost-effective. It seals in the odour, but you need to empty it before it starts to smell. I would prefer a pail that’s hands-free and where I don’t need to touch it when dropping nappies or changing liners. 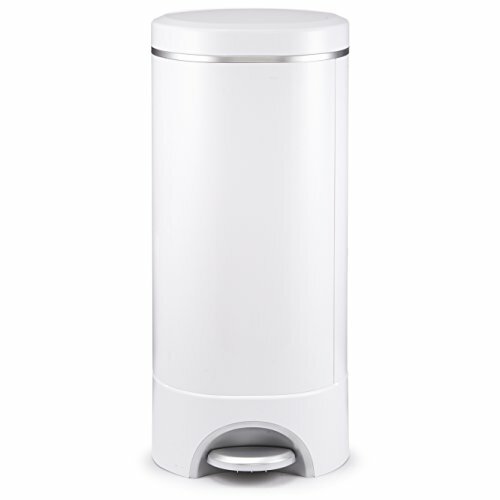 This diaper pail claims superior odour control and can hold up to 30 diapers. But, CDs are relatively bigger than disposable ones, so it probably won’t reach even close to that number. It looks sleek and modern looking – doesn’t look like your average pail. It would blend well in any room. It’s great if you have a limited budget. However, you shouldn’t expect it to function as perfectly as the more expensive ones. For its price though, it’s okay – nothing over-the-top, impressive or mind-blowing. But that’s to be expected. You just get what you pay for – nothing more, nothing less. The clear winner for this baby gear is the Ubbi Steel Diaper Pail. Sure, it is a bit expensive (almost three times the amount of the cheapest product on this list) but it’s well worth it. The mechanism is impressive and keeps everything sanitary. The downsides aren’t a huge deal to me because these are things you can work your way around. Overall, the advantages definitely outweigh the disadvantages. And at the end of the day, if I had that budget, I would undoubtedly go for it. It does its job and more and looks sophisticated at that too. What are you planning to buy? Share it with me in the comments. What Are the Best Diaper Bags for Twins in 2019?